By: Cynthia Soda of Soda Pop Design Inc. It's the weekly chore we all love to hate – the necessary evil that is laundry day. It can be a daunting and never-ending task, so why shouldn't the space it all happens in be as functional and fabulous as possible? We have designed many laundry spaces, and find that with careful planning you can create a stylish and highly-functional space. In the laundry spaces we design, we always provide key considerations in order to ensure that our end-users will have a space that facilitates all that needs to happen. Perhaps second only to the kitchen as the hardest working space in the home, it's necessary for form to follow function. Taking inventory of everything that you may need for basic laundry activities (detergent, softener, baskets etc. ), we ensure there's a place for everything and everything in its place. Functions like hanging, folding, ironing, even feeding and washing the dogs have come to make the list in some households, so you have to consider these as well. In our bright blue laundry space, our furry friends required a place to sleep so our mill work was custom designed to allow this as well as storage for a full size ironing board, iron, dog food, shampoos, brushes and extra cleaning supplies. Tip: Keep it light and bright - if your laundry room is on the second floor but has no window, consider adding a sun-tunnel which can flood the room with light. If you're laundry space is in a basement, consider adding a window or at least ensure that you have planned for enough overall ambient and task lighting to brighten your mood. 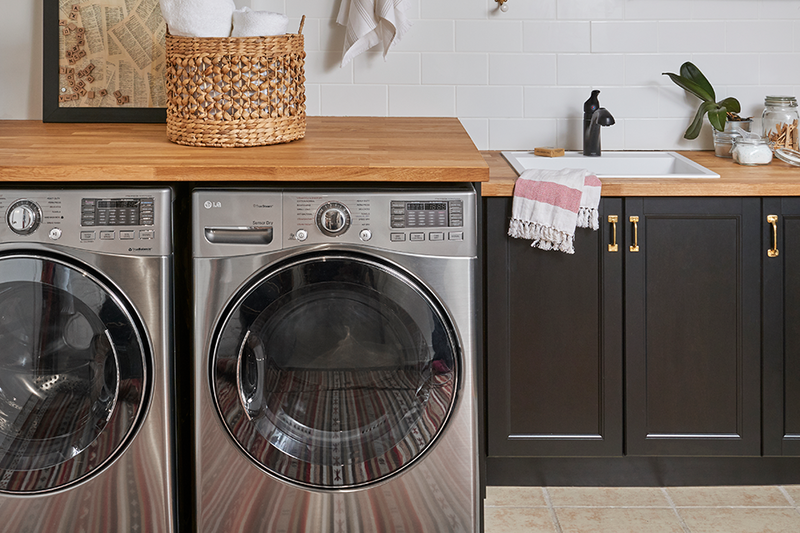 Tip: Laundry rooms are a great place to try out the latest design trends you've been coveting. 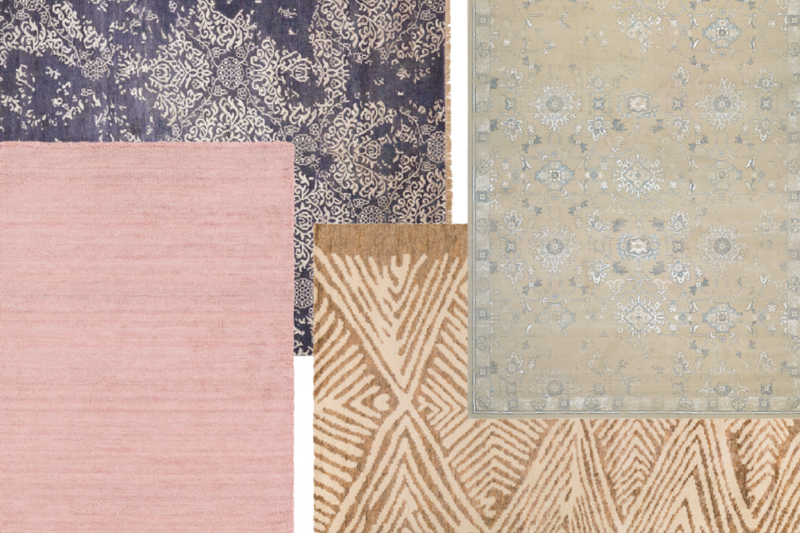 Go bold with color, try out different hardware and play with patterns to express yourself. Our client's request for an "eclectic, retro, vintage, modern" space enabled us to go big with graphic hexagon floor tiles and gold faucet and hardware for that modern edge, while gossamer blue pillow-style cabinets added the retro-vintage vibe. Tip: Make sure to install hanging rods mounted high enough for long dress shirts and even some mid-length dresses yet still easily accessible. It's important to take stock of what it is you are trying to achieve and ensure that you've thought up a solution for each of these activities. That's what working with a designer will do – create a space that truly works for your life and how you live it.